How to choose the right dress style for your body type? Colors available at Bridesire.com, arranged by dress material. All dresses in our store can also be custom tailored by using the measurements you provide us. To see how to provide your measurements accurately, check How to Measure Section. This is the length from your hollow ( the hollow just under your neck ) to the floor. (Take the measurement with bare foot ). Keep your knees together and stand upright. Whether you buy a standard size or provide us with your custom measurements, all dresses in our store are individually tailored for you by our dress makers. Due to this, the delivery time and return policy are different from other products. Total delivery time is estimated based on the time it takes to tailor your dresses and the time for shipping. It will take 7-9 business days to tailor the dresses/jackets/wraps by our experienced dress makers. It will then take about 3-5 business to deliver to you, the exact shipping time is based on the shipping courier (UPS, FEDEX, DHL ,etc) standards. It will take 13-15 business days to tailor your dresses by experienced dress makers. It will then take about 3-5 business to deliver to you, the exact shipping time is based on the shipping courier (UPS, FEDEX, DHL ,etc) standards. We understand that ordering a dress for your special occasion is one of the most important parts of your wedding. We bore this in mind when making our return policy. However, it is important to note that since all dresses are made to order, once our dress makers have begun to work on the dresses, the materials can not be reused. The good news is that you still have plenty time to make up your mind after placing your order. Please refer to our cancellation policy below for details. - Orders canceled within 48 hours of paying will be eligible for a full refund. - Orders canceled 2 to 4 days after paying will be eligible for a partial refund which consists of full shipping cost and 60% of the product purchase price. - Orders canceled after 4 days of paying can only be refunded for shipping fee. If you need to cancel your order, please contact our customer service (Toll Free: 1-888-582-5438 or Online Chat to proceed. Your satisfaction is always our utmost priority. when receiving your order, we encourage you to try and make sure that the dress has been made to meet your specifications. Try on your dress as soon as possible without removing the tags or altering/washing the dress. If you have to return your dresses, please make sure they are in original condition - unworn, unwashed, unaltered, undamaged, clean, free of lint and hair and with tags attached. Otherwise, returns will not be accepted. You will be refunded for the full purchase price and shipping fee for defective, damaged or mis-shipped items. If your dress was damaged during delivery, you need to obtain "Proof of Damage" documentation from the delivery carrier. 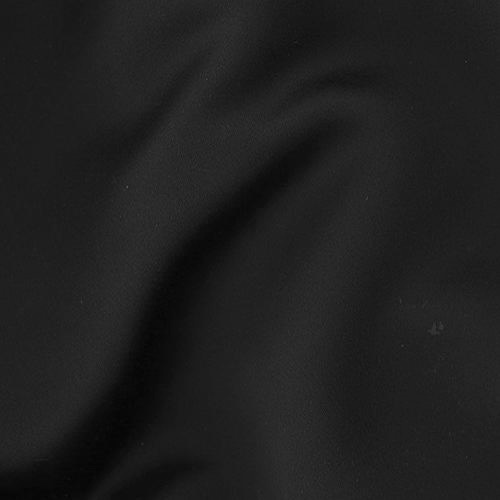 Since all of our dresses are hand made and tailored, the finished garment may vary by approximately one inch in either direction of the specified measurements. To ensure perfect fit, our tailors have made all dresses with additional fabric in the seams to allow minor size alteration. If you find your dress does not fit perfectly, we encourage you to find a local seamstress for alteration, and we will gladly reimburse you for up to 50% of the alteration cost. If you decide to do it in this way, please remember to request a receipt from your seamstress and provide it when requesting reimbursement. Alternatively, you can send the dress back to us for a FREE alteration service from us. The colors the dresses shown on Bridesire.com may alter due to different settings on your computer mornitor. Slight color mismatches between the color of the dress you receive and the color displayed on your screen does not necessarily mean the dress is defective or misshipped. However, if you are sure that the item you receive is in completely wrong color, please contact Customer Service to see if a return or exchange is possible. If for any reason, your order was not shipped within the time stated and arrives late, but not by more than 10 days, you will be eligible for a complete refund plus shipping if the dress is returned. If the product is overdue by more than 10 days, customers are eligible for a full refund. 1) All returns must be sent within 10 days of the shipment being delivered. We only accept dresses in their original condition - unworn, unwashed, unaltered, and undamaged - and must have the tags intact and still attached. Please provide a detailed explanation in the return package. 2) Customer can return the dress if she does not like the dress for any reason, only if the dress was ordered with stardard size. In this case, customer has to send the dress back and we will make refund as soon as the dress is received. There will be a 20% of the original price for restocking fee and the shipping cost is not refundable. If the dress is ordered with custom measurements, the dress cannot be returned for refund, however, we can still provide free alteration/replacement services for such orders. 3) Once the returned dress is received, your refund request will be processed in 3 to 5 business days. After your request is confirmed, please allow up to 10 business days for the credit on your payment account, depending on your payment processor. Items returned in unacceptable condition will not be processed as refunds and will be shipped back to you. Recently, some websites have been using Bridesire.com's product images to sell their low-quality dresses. Even worse, they use the Bridesire.com brand image to confuse customers into buying dresses from their websites. Attention customers: please be careful and only buy Bridesire.com dresses at the actual Bridesire.com website. These other untrustworthy online shops cannot provide high-quality dresses and will only bring you trouble. 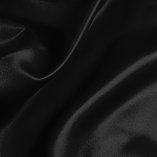 Bridesire.com hires the best dressmakers and experienced designers while using the finest production techniques. Our factories supply all our dresses, which makes it a quick and efficient process for our customers and us. Our efficiency and lowered operational expenditure can be seen in our great prices for the best dresses online. 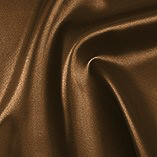 Bridesire.com uses 395 Taiwan Satin, which is very soft, doesn't wrinkle easily, is easy to iron and wash and has a natural glossy shine. 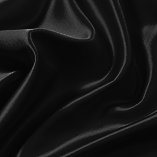 It is also heavier than other types of satin with an extra 30-35 g/m2. Bridesire.com's embroidery techniques are extremely detailed, look vivid and are very solid and compact. Bridesire.com's dresses are made with beautiful beads on their sleeves and collars, which make the dress look more detailed and classic. All the beading is exquisitely made by hand. At Bridesire.com we use a hard net lining to make our dresses, so even if you don't wear a petticoat, the dress will still look great. We also uses a comfortable lining clothe that feels nice to the touch. The Bridesire.com dress copiers only use very poor clothe for the lining that has no style and counts bad stitching among its many problems. The dresses from Bridesire.com have bodices that are really well-made, perfect for different styles and sizes. There are even seven fish bones in the bodice to make sure the dress holds its shape. The bones are capped so they don't push through the lining and they follow your curves to add support and make your body look great, even without a bra. The Bridesire.com dress copiers do not put much thought into the bodice and they don't use fish bones, their dresses are just flat and lack any design to speak of. 1. How far in advance of my wedding should I order my dress? 2. Can I cancel or return my order if I change my mind? 3. Can I order my dress in a different style/fabric/length? 4. Can you show me photos of other customers wearing the dress? 5. How can I make sure what size is right for me? 7. Is it possible to alter my dress if it doesn’t fit perfectly? 8. How do you measure length for dresses other than floor length if you only collect a hollow to the floor measurement? 9. If I need to wear high heels with the dress, should I add the height of my heel to the hollow to the floor measurement? 10. Will my dress be in the exact color I see on your website? 11. What kind of fabric is used on the dresses? 1. How far in advance of my wedding should I order my dress? Timing is always one of the most important factors of ordering your wedding dress, and we take it as seriously as you do. We advise that you order your dress a minimum of 2 months before you need to wear it if it is a wedding gown and a minimum of 5 weeks if it is for special occasions. Why is that? As it is stated elsewhere on this website, every dress ordered is made from scratch so it takes longer to arrive than other products you order online. The tailoring time for wedding dresses is about 15 to 20 business days, and 10 to 15 business days for other dresses. Shipping is much faster though. It only takes 3 business days for delivery once orders are completed and dispatched. Therefore, the best way to ensure a relaxing and pleasant shopping experience is to allow plenty of time for tailoring and shipping, and probably the additional time to try on the dress and make alterations if it is necessary. 2. Can I cancel or return my order if I change my mind? As it is stated elsewhere on this website, every dress ordered is made from scratch. After you place your order with us, our dress makers begin to select materials and cut fabric according to your measurements. Even standard size dresses are made to order for each customer. Fabrics cannot ben reused if the order is canceled or returned. For this reason, our return policy may be stricter than retailors selling other products, For full details, check our Return and Cancelation Policy . 3. Can I order my dress in a different style/fabric/length? In most cases, we can. If you do need the dresses be made in different ways, please leave your instructions in the comment area when you checkout. Our customer representatives will contact you if your request cannot be accomplished. 4. Can you show me photos of other customers wearing the dress? From time to time, customers do send photos of wearing the dresses and allow us to share with other customers. You can view the photos in the review section on the product page if they are available. 5. How can I make sure what size is right for me? When ordering a dress for the special event online, you always need to pay close attention to getting the right size! Since we’re an American company, our garments may be larger or smaller than the standard sizes you’re used to in your country. Be sure to check our size chart for exact measurements and compare them to your own measurements before placing your order. If you’re ordering your dress with custom size, it’s very important to get your measurements as accurate as possible. Getting professionally measured by an experienced seamstress is the most reliable way to get your measurements correctly. Check out our measuring guide . If your size changes slightly over the period of waiting or you want to make slight modifications, we always leave a few inches in the seams so that your local seamstress can easily alter if needed. If you have any other questions about ordering the right size, do not hesitate to contact us . Make bust measurement from the fullest part of your chest, it is NOT your bra size! 7. Is it possible to alter my dress if it doesn’t fit perfectly? Yes. If your size changes slightly over the period of waiting or you want to make slight modifications, we always leave a few inches in the seams so that your local seamstress can easily alter if needed. Dresses generally have a margin of at least 1 inches on either side of a seam. We provide free alteration services for our customers. You only need to send the dress back to us and we will take care of the rest. 8. How do you measure length for dresses other than floor length if you only collect a hollow to the floor measurement? We use the hollow to the floor measurement to determine where the knee and ankle are and then cut the correct length according to the dress design. 9. If I need to wear high heels with the dress, should I add the height of my heel to the hollow to the floor measurement? Yes. If you'd like the dress longer to match your high heels, just add the height of the heels to your hollow to the floor measurement. 10. Will my dress be in the exact color I see on your website? Depending on the settings on your computer screen, there might be a slight difference between the actual color and what is displayed on the website. The difference is very hard to notice though. 11. What kind of fabric is used on the dresses? 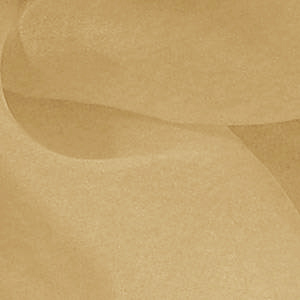 Checking at our Color Chart and photos should give you a very good idea what the dress, color and fabric will look like. If you’d like to be even more confident, try ordering samples from our site. Please keep in mind that extra weeks are needed to receive your fabric samples when timing your order.